A list of Charlotte Mason curricula - programs that attempt to follow the letter and spirit of Charlotte Mason's philosophy of education. They are listed in alphabetical order. "Our goal is to help you implement Charlotte’s method in a way that is personally meaningful for you and your family. We want to help you apply Charlotte Mason‘s principles in a way that is consistent with your values. I will be working hard to do just that by creating helpful articles, resources, videos, and guides for you as well as offering personal consultations." 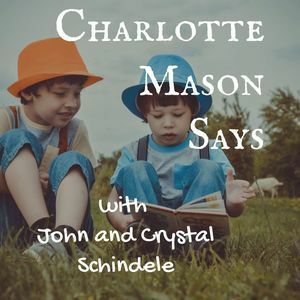 “A Delectable Education offers a consulting service if you desire a personalized homeschool curriculum based on Charlotte Mason’s principles and practices. They also have Curriculum Templates to enable individual families to build their own Charlotte Mason Curriculum." "For years I [Nancy Kelly] have enjoyed walking alongside others and helping them bind together the practice with the principles of a living education based on Mason’s philosophy of education. I draw from my 25 years of practice and study of Mason’s methods, suggesting unique books and patterns that are tried-and-true for a relational education. Programs that are mostly or adaptable to a Charlotte Mason education. I wanted a curriculum that was rich in great literature, not just old fashioned tomes, but modern children’s literature as well. I wanted a curriculum that was history based but didn’t drown you in historical fiction. I wanted to make narration a priority, but in a way that was fun and easy. A curriculum that took passages from the books you and your child are reading and turned them into copywork in the elementary years and dictation at the middle school level. I wanted to incorporate art study that was connected to history and included fun art projects. And I wanted to include science – literature based in the elementary years, and I use Elemental Science’s logic stage program in the middle school years. It was a tall order – but our children are worth it." "This is not your average curriculum. We do things against the grain, and with a whole different mindset from the world. This curriculum will not be for everyone. If you’re looking for a super rigorous classical education, this is not for you. If you’re looking to find a calm, simpler, anxiety free zone in your homeschool, this is for you." "We blend many aspects of Charlotte Mason methodology (and create a host of CM-inspired resources) with classical education tenants. We share with you the ways it works for our family in hopes to encourage and equip you with new ideas for your own homeschool." "I have always been of the mindset that it was better to wait on “school things” for my son, following a better-late-than-early approach. I hadn’t pushed him to start reading at an early age or tried to force any kind of structured preschool program on him and was quite happy with those decisions. When he turned six in August of 2016, I wanted to do something more “official” with him that fall, but I didn’t think he was quite ready for Ambleside Online (AO) Year 1. So, I started to look around for some kind of alternative...."
"A Charlotte Mason inspired guide to educating your children in a nourishing way during the preschool years. This guide is not meant to burden you with another to-do list which can be stressful. It is a suggestion for big ideas, for a way of life. Intentional suggestions, goals, real-life examples, and tips are all offered to you to help you connect with your preschoolers." "Rooted Childhood offers a seasonal collection of beautiful craft projects and opportunities for connection with your child. Each month contains a introductory section with everything you need to get started. You'll find simple craft projects suitable for beginners with a detailed supply list, whole food recipes, ideas for family gatherings and celebrations, stories to tell aloud, seasonal poetry, songs and fingerplays, and picture book recommendations, all geared toward families with children from 3-8 years old."